When you visit us at Safety In Motion Flight Center, we welcome you as a guest. We provide complementary coffee, soft drinks, snacks, and fruit in a comfortable lounge. You can kick back, put your feet up, and relax while your aircraft is being fueled or use the conference room for a business meeting. 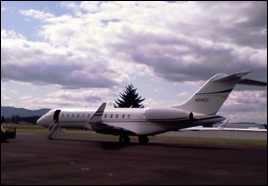 Safety In Motion Flight Center can accommodate all of your needs while you are visiting the Olympia area. Safety In Motion Flight Center strives to provide the best services available. All of our employees are TSA certified and our fuel technicians and linemen are all certified. We are also certified as FAR Part 139 B and C in aviation fuel and fire safety. Contact our flight school at (360) 754-4043 in Olympia, Washington, to learn more about our extensive certification programs.